The Volkswagen German based automaker is launching the high-end 2015 Touareg SUV in the United Kingdom, where the model will be available for sale from 43,000 GBP. The 2015 Volkswagen Touareg will hit the UK dealers nationwide in November, but you can also pre-order the model at the base price of 43,000 GBP, starting this month. For that price, you will get a fresh new fascia, different front and rear bumpers, new diffuser, revised front grille, bi-xenon headlights, as well as fresh new alloy wheels and a choice of body style paintjobs. More than that, the standard version will also come with the 8-inch touch screen navigation system, DAB radio, two-zone climate control, parking sensors and more. 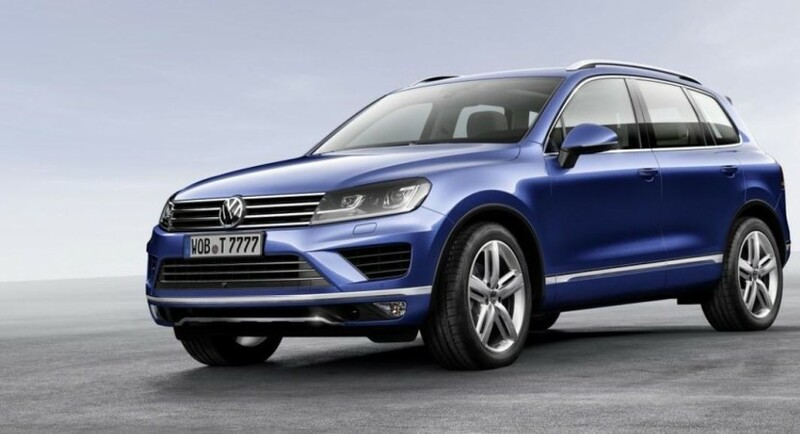 The 2015 Volkswagen Touareg will also come in three versions, namely the SE, the Escape as well as the R-Line. The 2015 Volkswagen Escape will be priced at 44,700 GBP, while the R-Line top of the line will set you back at 46,000. There are also two 3.0-liter TDI engines to equip the model under the hood, with power to range between 201 horsepower and 258 horsepower, both being in accordance with the Euro 6 emission standards.